Ms. Xu is a partner in the Corporate Practice Group in the firm's Shanghai office. Ms. Xu’s practice focuses on the areas of private equity/venture capital, mergers and acquisitions, as well as general corporate and business law across a wide range of industry sectors, including e-commerce, mobile internet, high technology solutions, social media and gaming, healthcare, and the online to offline platform (and the sharing economy in particular). Ms. Xu has extensive experience advising international private equity firms, strategic investors, and emerging companies through all spectrums of growth from offshore and onshore incorporation to multiple rounds of financing and beyond. 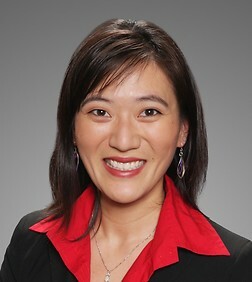 In addition to representing clients in minority and strategic investments, cross-border acquisitions, divestments, and other corporate transactions throughout Asia and between Asia and the United States, she counsels company clients and portfolio companies of investor clients on a range of corporate governance issues and other day-to-day corporate matters. Ms. Xu has also advised US public companies with various corporate matters in China as well as Chinese companies listed overseas with their SEC compliance and reporting obligations, and in matters of corporate governance. Ms. Xu offers clients business-oriented solutions and is adept at providing practical and sensible advice that enables client objectives to be met in an efficient and effective manner as clients navigate the complex and volatile landscape surrounding the intersection of Western and Eastern business practices and ideals.